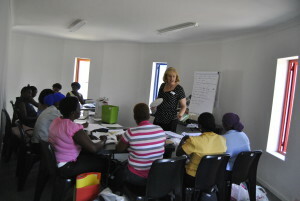 Vegetable gardening and nutrition training serve to educate preschool staff and children on sustainable food development. 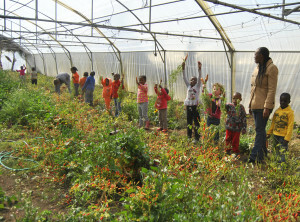 Children are encouraged to be involved with the planting, harvesting and watering of the vegetable gardens and teachers are trained on meal planning with correct nutrition for a child’s development. A vegetable garden also provides an opportunity to sell excess produce, thereby supplementing the finances of the preschool. Each delegate receives a Play-with-a-Purpose manual of the relevant course material. The workshop manuals are written and copyrighted by Robyn Wienand. Courses include: Teaching Little Ones 0-3 Years Old, Grade R- School Readiness, Relational Management and Leadership Courses.